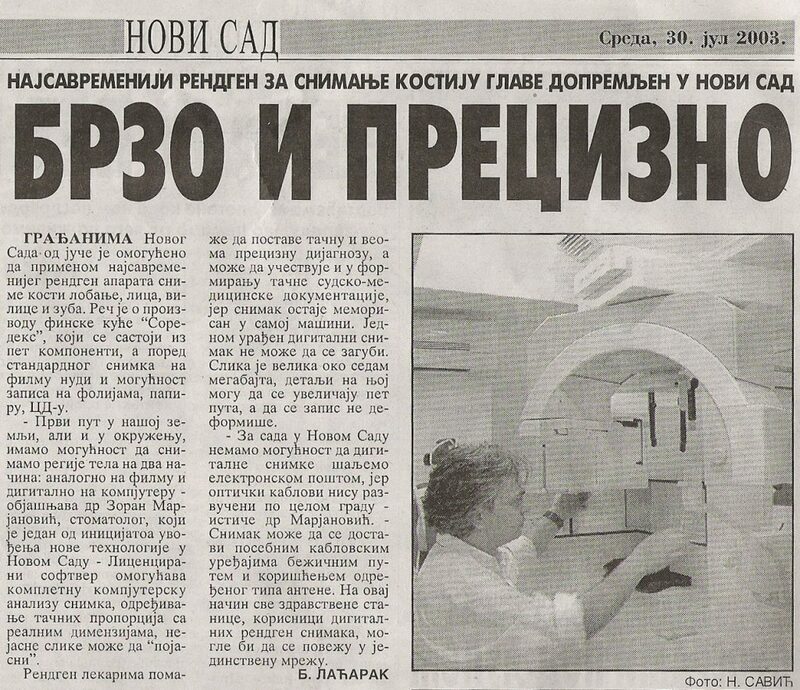 The first digital röntgen in Vojvodina - 2003. 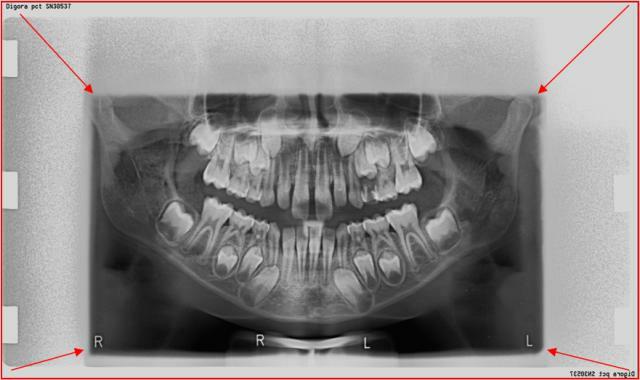 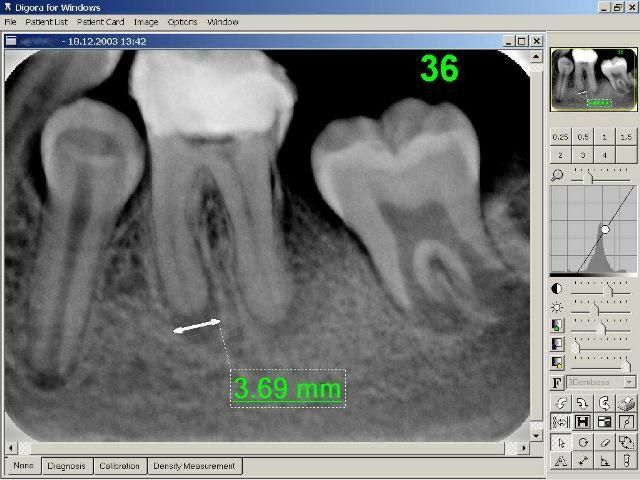 Intra-oral – retro-alveolar digital image, about 4.5MB in size, zoom able, that is, enlargeable up to 5 times. 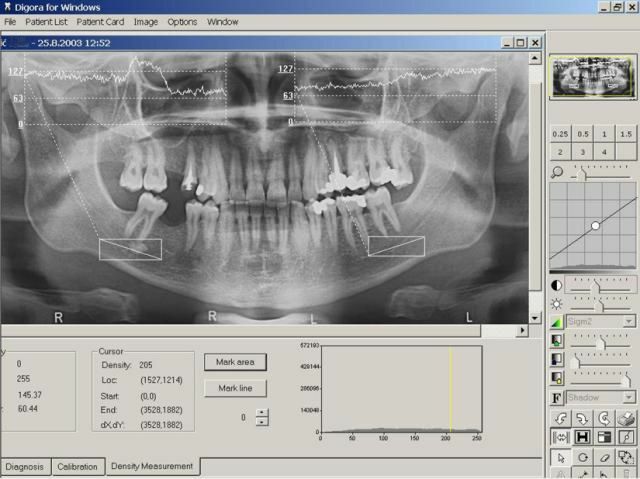 The recommended technique with a significantly reduced radiation field. 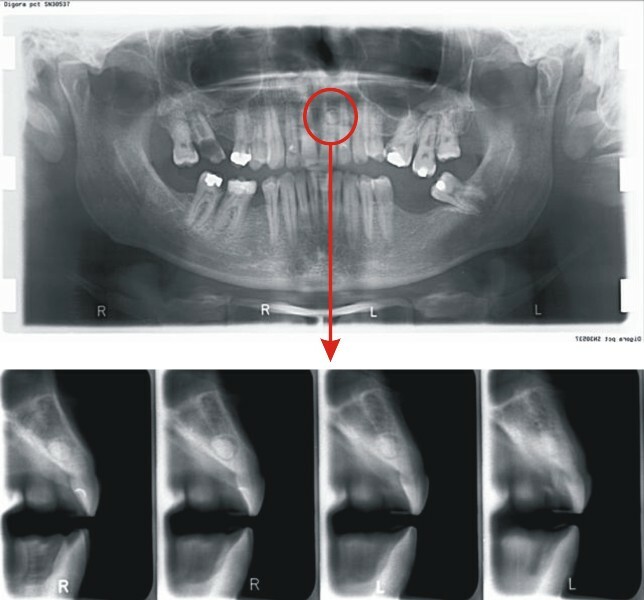 The arrows indicate the reduction of the radiation field from the standard size of 15×30 cm and not by reducing the image. 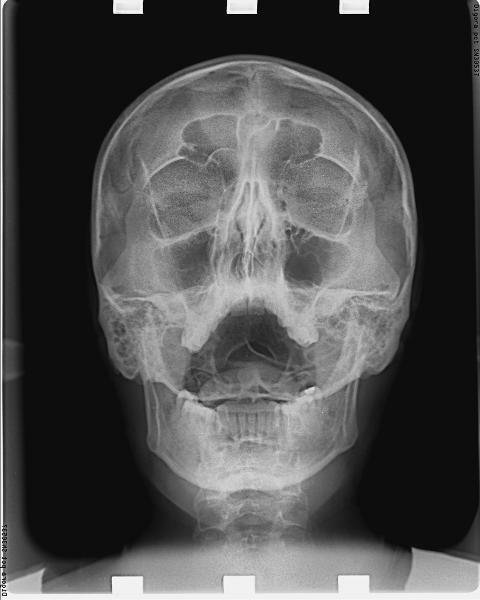 The upper parts of the facial bones and the cervical part of the spinal cord are not exposed to unnecessary radiation. 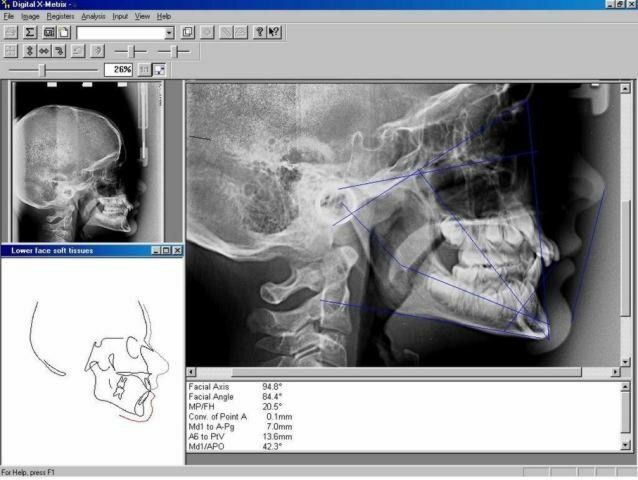 Such an image can be digitally enlarged so that the blank area is not visible. 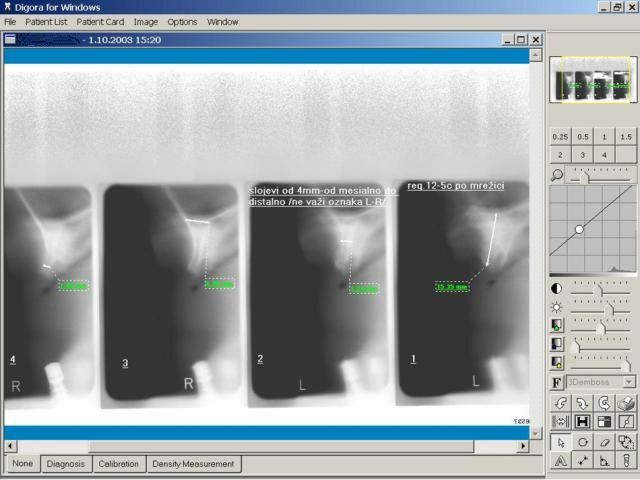 By applying the digital method of the aforementioned technique, the exposure of children to X-rays is reduced by approximately 50-70%. 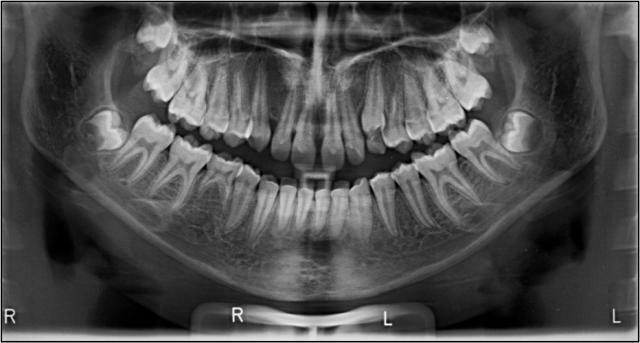 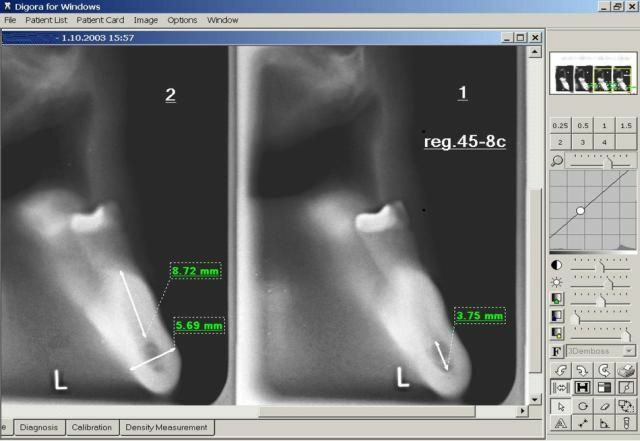 Since a very tight and strictly collimated beam of X-rays is focused, we get a sharper, less deformed image with higher contrast in the zone of dentition than with a large OPG. 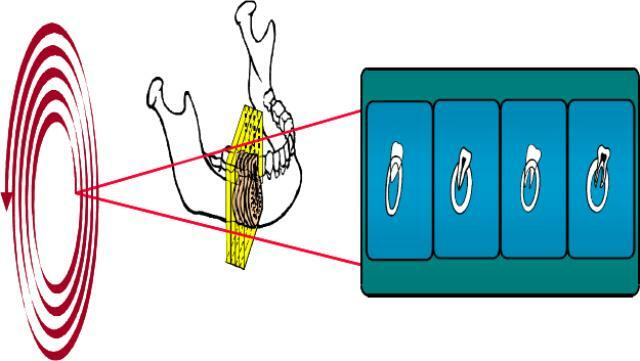 At the same time this technique of alveolar extensions replaces a large number of retroalveolar images. 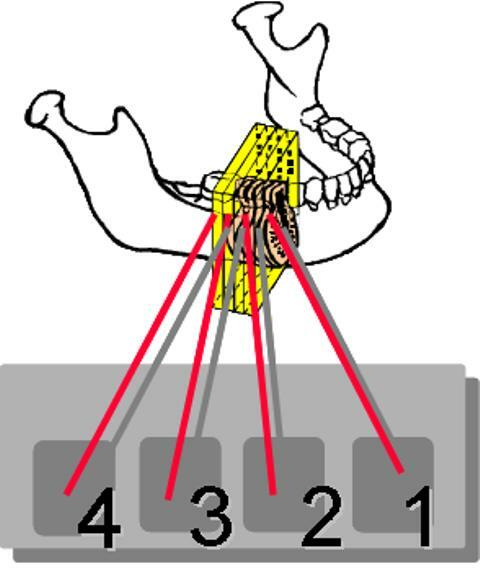 In case of the analysis and measurement (of the mandibular corpus, for example) on an OPG image it is compulsory to take a tomographic cross section image which shows perfectly accurate information dimension-wise in the sagittal and vertical planes. 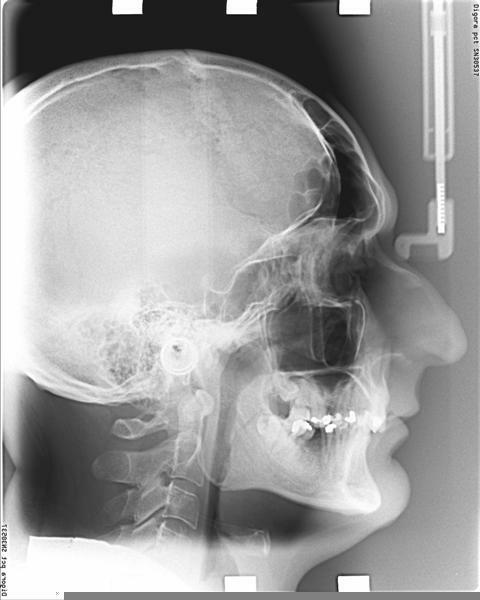 On the “Symbols” icon, it is possible to select various implant manufacturers – Straumann, Frialit, Branemark, etc. 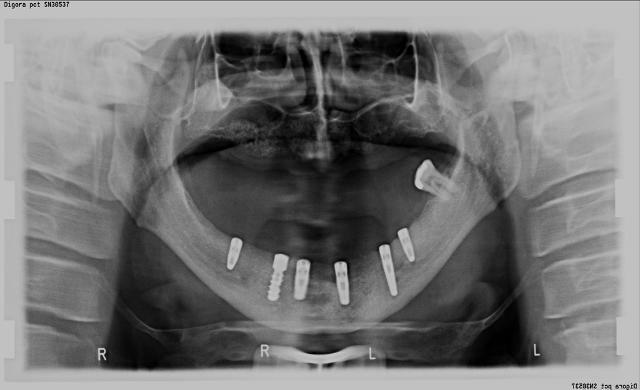 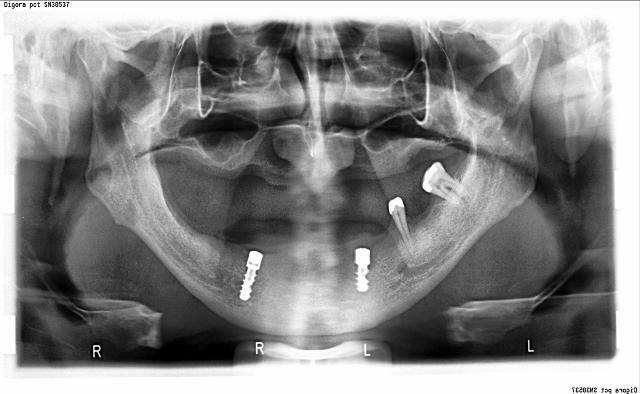 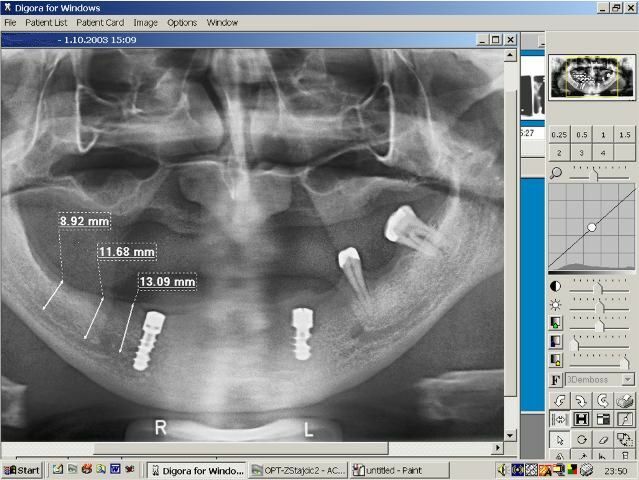 as well as all the possible dimensions of the implants with their original manufacturer’s codes. 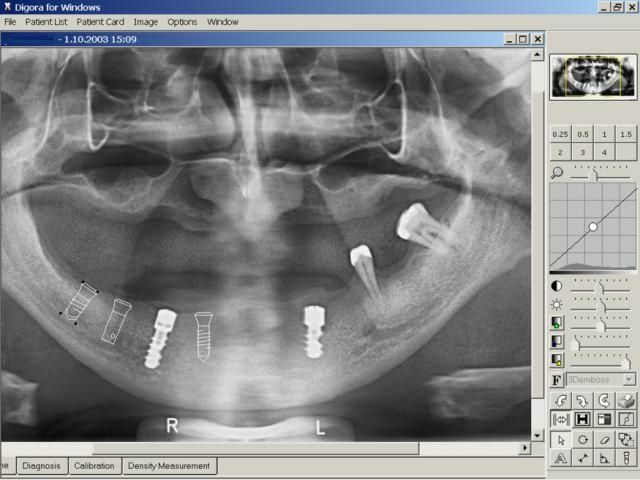 The selected implant can be positioned in the desired region by dragging it with the mouse (drag and drop) along with the use of the “rotate” function. 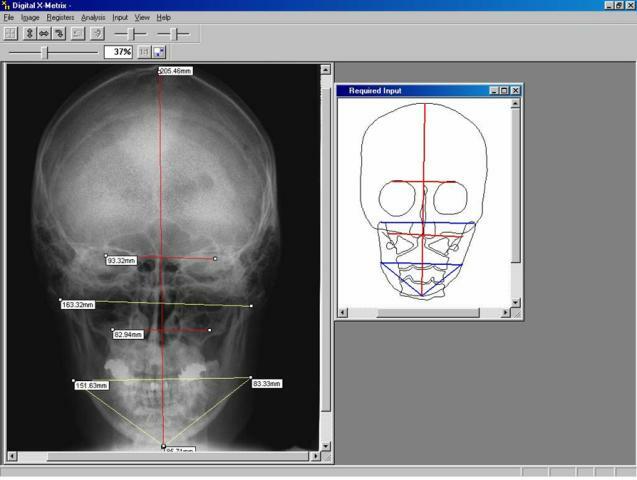 Tele – RTG analyses with selected points, curves and angles, standardized or done according to the therapist’s selection. 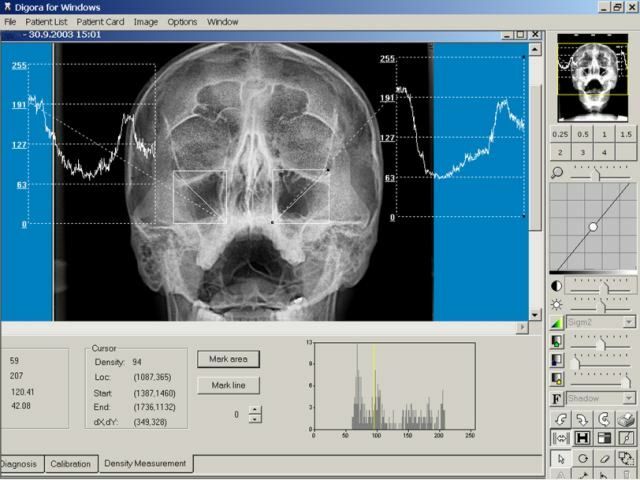 For a computer analysis of a digital image – an orthodontic craniometric analysis, it is sufficient to mark the craniometric points in order to obtain the desired analysis with a printout of the image, graphic and numeric values. 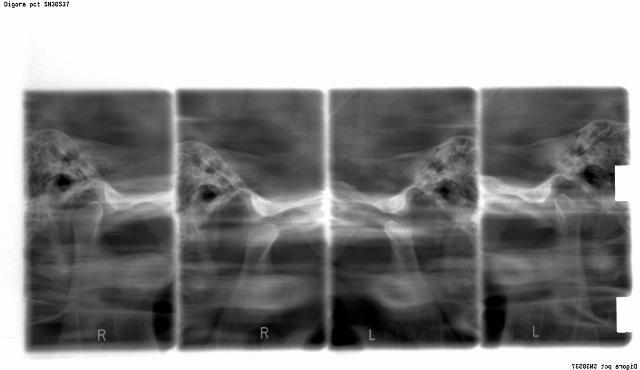 The processing of bone density in a localized osteosclerotic change. 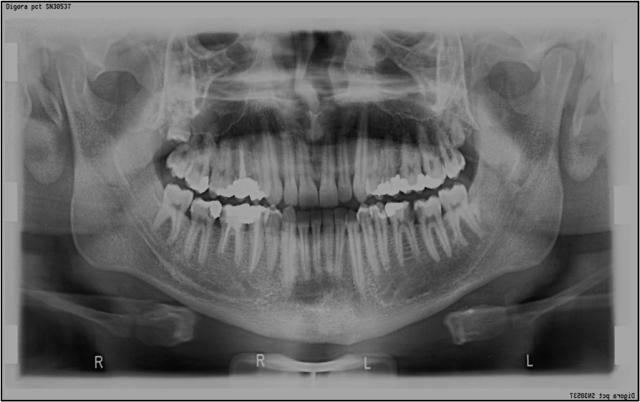 It aids the diagnosis of osteoporosis, osteosclerosis, as well as is determining the growth type of long bones. 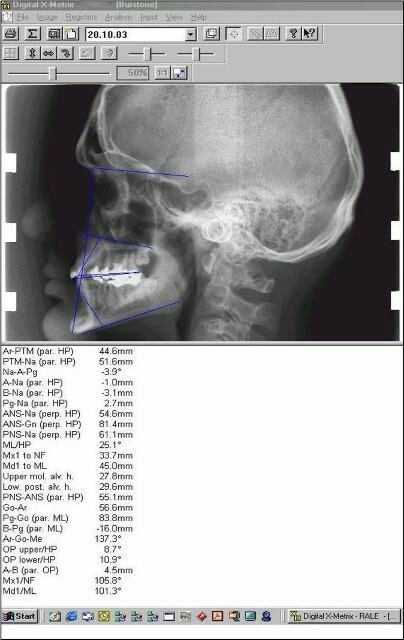 The graph was determined in the marked zone, juxtaposed with a radiologically healthy zone for the purpose of comparison. 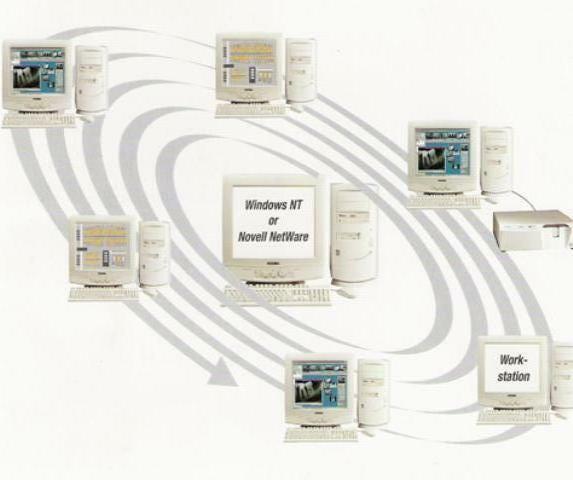 The CANAL of the mend. 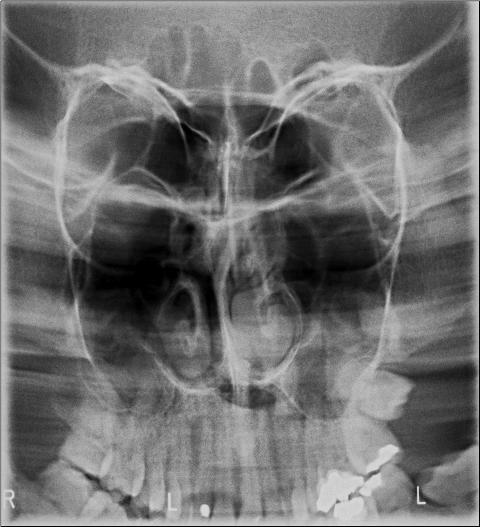 nerve in reg. 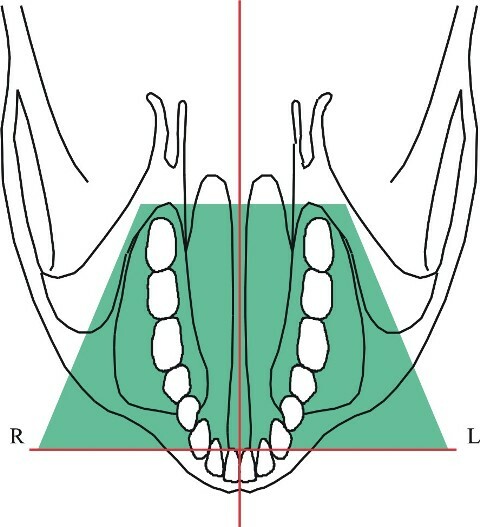 35 – sagittal at 2 mm, measured details of the distance to the mandib. 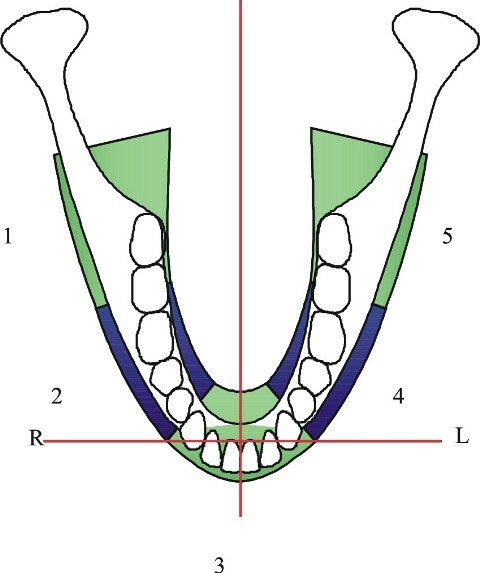 canal, the width of the mandib. 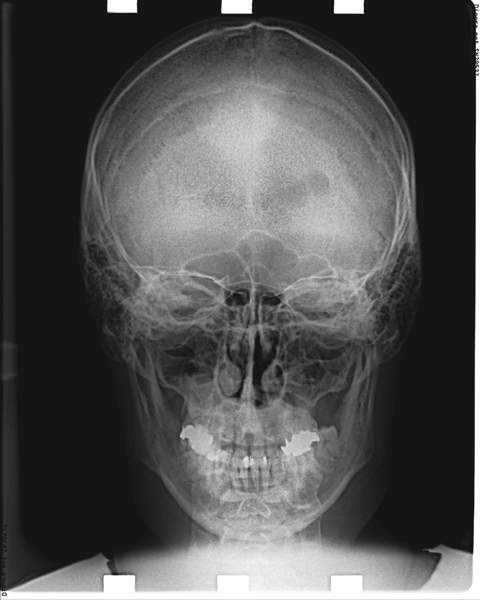 body, the width of the canal lumen, etc. 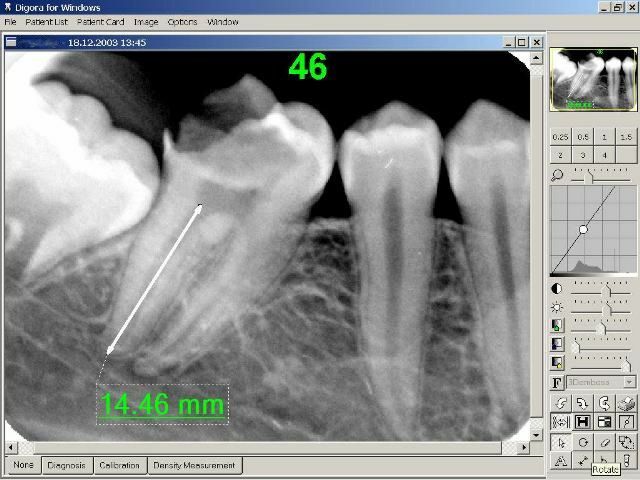 Carried out after calibrating, that is re-scaling to a real scale, proportionate to real dimensions because each technique has a certain magnification factor. 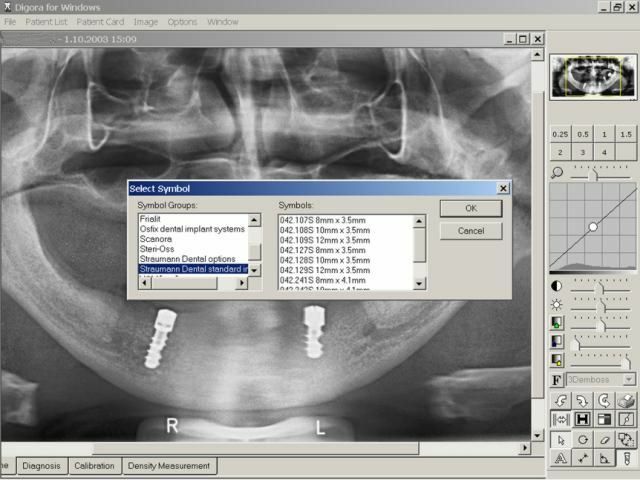 With the development of information technology and telecommunication it has become possible to create an internal network between therapists of different specialties, whereby it would be much faster to exchange results, referrals, X-rays, details on the course of the treatment and all other information for the purpose of additional consultations on possible therapies. 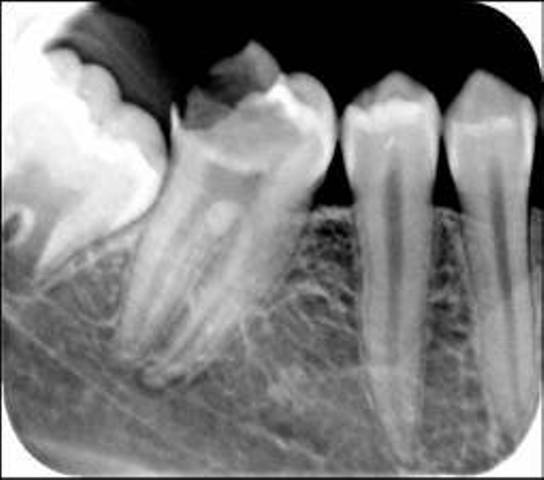 This allows a continuity in further specialization which takes place on a daily basis in the course of dental practice.